In a post over at the Lawfare blog, the Brookings Institution's Benjamin Wittes found my op-ed in yesterday’s New York Times, on Obama’s double-take on the nature of our current war era, to be “perplexing.” Let me say a few words that are unlikely to lead Wittes and me to agree on everything, but at least might help crystallize what the disagreement is about. I should also say that I tend to agree with one of the underlying ideas at Lawfare, as I understand their project, and that Harvard Law Professor Mark Tushnet has also made: “liberals” and “conservatives” are often talking past each other on questions of national security, and there is a need to reshift the conversation, and get beyond partisan and left/right divides. The most essential point is methodological (and if you’re looking for the direct points about my op-ed/Wittes’ post, skip ahead a couple of paragraphs). As legal scholars we tend to focus especially on law, of course. Law and society scholars, including legal historians like me, study law by going beyond it – by studying law in a broader historical and cultural context. Law exists as part of and in relation to society and culture, so that we can’t fully see law without understanding the way it is produced and understood – socially, politically, culturally. Like other legal problems, law related to war and security is a law-and-society subject. Many very smart war powers and national security law specialists have been drilling down on the complex legal issues related to the post-9/11 context, an effort that Lawfare contributes to. But as with all legal issues, there is also a law-and-society component. 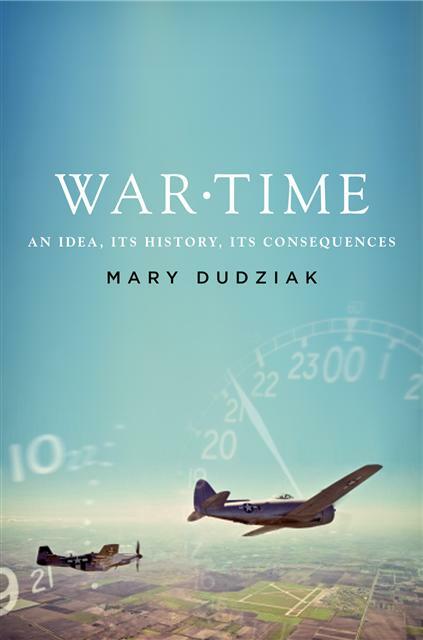 Although war powers and national security scholarship often draws upon historical examples, the scholarship does not tend to incorporate current important work by historians and others related to war and security. So, in my view, the law-and-society aspect of legal war and security studies is underdeveloped. Alongside of the current focus on national security law in American law schools, we need, essentially, law-and-society law & security. This shift in political rhetoric enables the president to argue that he is filling his campaign promise of ending the wars that he was talking about when he got elected, but at the same time the new formulation maintains (politically) the basis for his war-related powers. Now for the law-and-society point: presidential war powers are determined not only by legal authorities and constraints, to the extent they exist, and by capacities inherent in the executive branch. As Professor Scott Silliman put it in a national security law class at Duke last semester, the president “paints the scene.” Important work by historians helps to fill in the way presidents essentially narrate wars for the American public (my formulation, not Silliman’s), helping to generate both political sentiment and also, most simply, the conception that something happening faraway is a “war” that the security of Americans at home hinges upon. (This is not a post-9/11 problem, but was a critical Cold War issue, and also was important in earlier years.) Political scientist Adam Berinsky helps us to see that what Americans “know” about overseas conflict does not derive directly from the conflict itself, but is filtered in the same way as public opinion on other matters: it is affected by elite discourse and partisan politics. This is a long way of saying that presidential rhetoric on war and security is tremendously important and consequential. I focused only on Obama’s flip: “Ending major conflicts in two countries helps him deliver on campaign promises. But his expansive definition of war leaves in place the executive power to detain without charges, and to exercise war powers in any region where Al Qaeda has a presence.” But the ultimate problem goes beyond what looks like a political bait-and-switch. By narrating war differently, Obama is “painting the scene” differently, in a way that will not determine the scope of his war-related powers down the road, including but not limited to detention. Though not determinative, a president’s framing of a war era is a first and essential component of the generation and maintenance of presidential war powers. I take up Wittes directly, and the ways we’re talking past each other, below the fold. It’s the starting point that matters: “with respect to the war against Al Qaeda and the Taliban.” The “war” against Al Qaeda is a different way of saying “war on terror,” though it is at least a more specific form of a “war on terror.” (Wittes includes the Taliban, but Obama’s framing is not so limited, or at least not consistently limited.) The reason for the parallel is that President Bush’s “war on terror” was a conceptualization that had no limits in space or time. The potentially unlimited nature of that sort of conflict, and the way it might justify detention without end, has troubled the Supreme Court. In Hamdi v. Rumsfeld (2004), Justice Sandra Day O’Connor noted that Hamdi was arguing that he potentially faced “the substantial prospect of perpetual detention.” But she reasoned that the Court did not have to face the prospect of endless detention, because, in essence, the war in Afghanistan looked like an old fashioned war, limited in space and time. There were “active combat operations” against the Taliban in Afghanistan, so it was appropriate to detain Hamdi “for the duration of these hostilities.” The “war against Al Qaeda” – Obama’s formulation as of 2010 – is not limited in space and time the way a war in Afghanistan – Obama’s earlier formulation – could be. At this point, we are talking past each other, a consequence that, as I understand it, is one of Lawfare’s goals to avoid. Wittes is arguing that there is legal authority for detention. I’m not affirming or disputing the question of the legal limits of detention power. I’m talking about something else: presidential war rhetoric, a matter of great importance to presidential war power. My call is simply for transparency if not consistency. And so Wittes misses the op-ed’s point about Obama’s political rhetoric, and then draws a mistaken implication from that misreading. If he might complain that I could have been clearer, of course the response in part is: it was in a newspaper, with a word limit. But if he believes that I helped produce the misreading, let me just say mea culpa. And now let’s get back to trying to understand war and security in a deeper way, across ideological lines, and – one of my arguments generally – in a more nuanced and interdisciplinary way. "[Congress shall have Power...] To declare War, grant Letters of Marque and Reprisal, and make Rules concerning Captures on Land and Water;"
"The War Powers Resolution requires the President to notify Congress within 48 hours of committing armed forces to military action and forbids armed forces from remaining for more than 60 days, with a further 30 day withdrawal period, without an authorization of the use of military force or a declaration of war. The resolution was passed by two-thirds of Congress, overriding a presidential veto." There is some lawfare for you. What I discern in professor Dudziak's quotes from both the US President and the center-right professors who write on the lawFareBlog, with respect to the rhetorical devices like 'war on xxxx', is that in the political and public media spheres, such language is a device for sensationalization, the tabloidization, if you will, of speeches' lexis and opsis. I am reminded of the studies concerning the conflict in Vietnam, the strategic precedents enunciated in the writing of the leader of the China Great March, the dawning of largescale regional guerilla tactics. One of the early commentaries on the US revolution's unorthodoxies similarly described the impracticality of the British uniforms and the seeming ragtag impracticality of the colonist militias at Boston's bunker hill; that, too, was a guerilla action, and the Brits' uniforms contained a convenient target made by the two crossing white shoulder straps which provided a center-chest bullseye for the colonial snipers. It has taken several centuries for guerilla actions to modernize and regimented troops to begin to atrophy as m.o. of battle engagement. But I see meaning in the US President's claim that there is a threat to peaceful civilizations from loosely dissociated sources in weakly bonded nationstates far away from the target societies. Anthropologically, there is a wideband fringe of such distant social milieux in which organized Western lifestyles are irrelevant, or at a minimum less proximately impactful for those people than in firstworld states in which, by contradistinction, terror is extirpated by organized courts of law and the executive's gendarmes. Which is to say, terrorism can fluorish as a solution in relatively less modern states; or, at a minimum, simply as a force, like an unbridled barron who rules a feifdom. And modern communications have given such enclaves' leaders global reach. I see what the US president is doing as a parallel to an immune system healthy reaction to adversity. There is a loosely disorganized threat, and the firstworld is responding, even if firstworld rhetoric is clumsy and sensationalized into tabloid mentality slogans and explanations. “This War Is Not Over Yet,” by Mary L. Dudziak (Op-Ed, Feb. 16), makes a vivid and important observation: despite the end of the Iraq and Afghanistan conflicts, this administration has laid the foundation for a never-ending global battle. Among other wartime privileges the United States claims, it asserts the right to detain people indefinitely until the end of “hostilities.” The cost of indefinite detention to human life cannot be overstated. A person indefinitely detained can experience pathological levels of stress that damage the immune and cardiovascular systems, as well as hypertension, depression, suicide, post-traumatic stress disorder and lasting personality changes. Some people even manifest physical symptoms of the psychological trauma like breathing difficulties and physical pain. The United States has an obligation to treat all detainees with a certain standard of care, but when there is no end to the global war against Al Qaeda, indefinite detention is a life sentence without trial, and it can result in lasting physical and mental harm. The writers are, respectively, a medical adviser to Physicians for Human Rights and director of its Anti-Torture Program.